Following some provisions of the recent meeting of the Carpathian Sustainable Tourism Centers(CSTCs) and stakeholders, which took place in Bratilasva, European Wilderness Society participated in the discussion dedicated to the further work of the CSTC Ukraine in Uzhhorod on 02 of February, 2018. Beside our team member, Iryna Shchoka, sustainable tourism expert Michael Meyer (Ecological Tourism in Europe), Valik Voloshyn (Chairman of the Board of the Regional Tourism Organization “Zakarpattia”) Lesya Loyko and Natalya Voloshyna, representatives of NGO FORZA (Agency for sustainable development of the Carpathian Region) took part in this meeting. 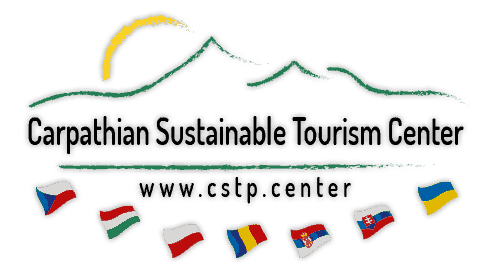 Participants discussed recent developments and projects of the sustainable tourism in Carpathians, particularly on cycling, systems of marking trails, Carpathian branding. The local products producer and the manager of the Brand “Taste of Ukrainian Carpathians”, Orest Del Sol, also shortly joined the discussion. Meeting participants agreed to look more precisely to the Working Programme of CSTC Ukraine and consider recently opened calls for proposals, e.g Operational Programme Romania-Ukraine and EEA and Norway grants fund for regional cooperation for submission of the joint projects on sustainable tourism in the Carpathians.